I woke up this morning to have the biggest scare. The blog just disappeared. I wasn’t sure what happened but the message said the blog was deleted. I had to verify and restore it again. This constant feeling that you are using a free service and you might at one point face this situation, really makes us want to host our own website. We did that but never could find time to create a template and the million other things you ought to do, discouraged us from doing it. Anyway it was only matter of minutes that this got restored. Still it surely was a scare early in the morning. I was planning to share this amazing biryani I had tried last week with Paneer. 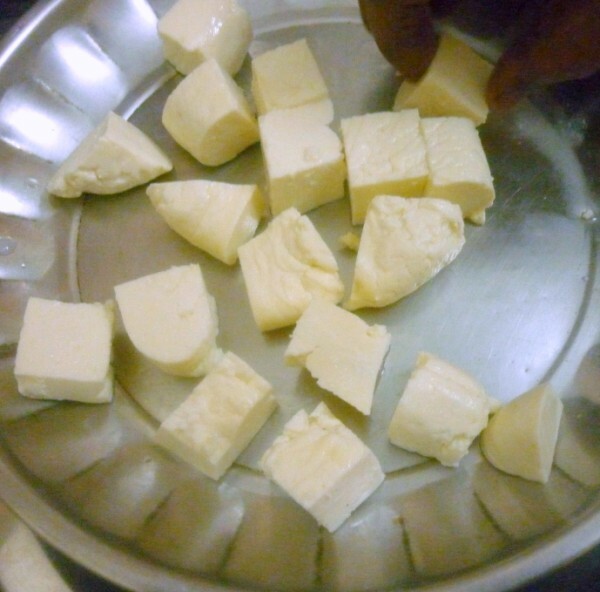 I knew I will end up making something with Paneer when I decided on Biryanis. 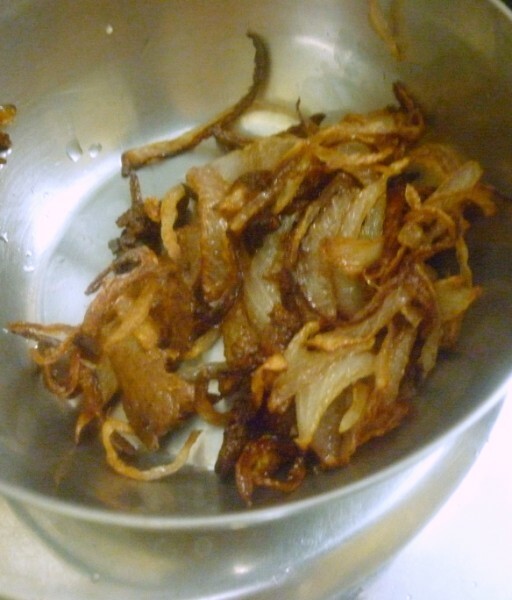 This recipe sounded so simple and easy, yet never imagined the taste will be so good. 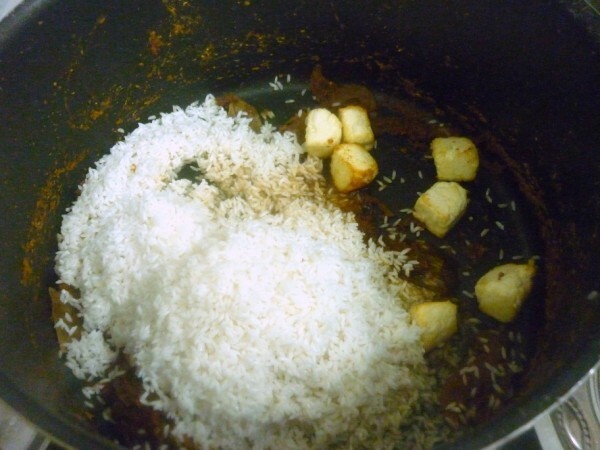 I had paired with Malai Kofta which again was a super duper combo for this rice. However you can enjoy the Biryani on it’s own. Though this was something that my kids loved, I made something else for them this morning. While Konda and Peddu wanted Fried Rice, Chinnu very clearly said he does not want it. He wanted only Lemon Rice. He now says Lemon Rice, instead of the Yellow rice he was all along saying. I am simply not sure how to get all of them eat the same dish. 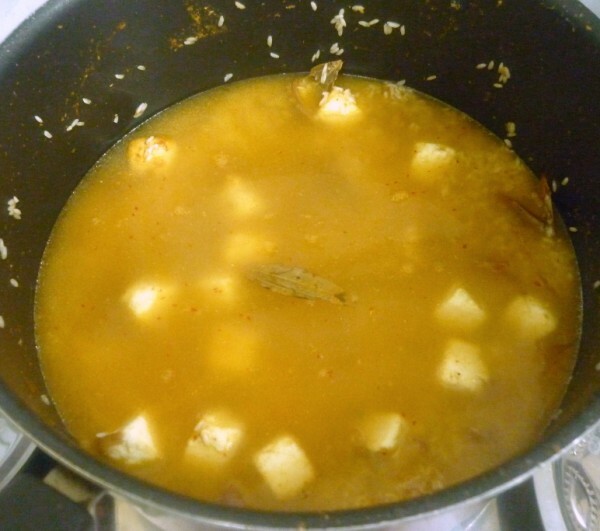 When I end up cooking different dishes for them, I am clueless on what to make for the elders! Anyway I am sure someday it will be better. Meanwhile you enjoy this rice. 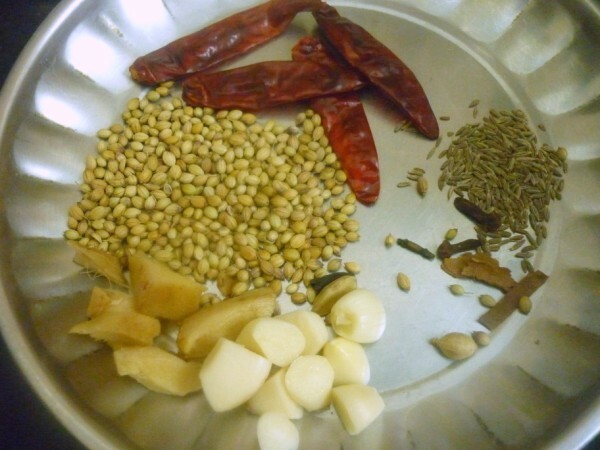 Grind the ingredients with enough water to form a smooth paste. 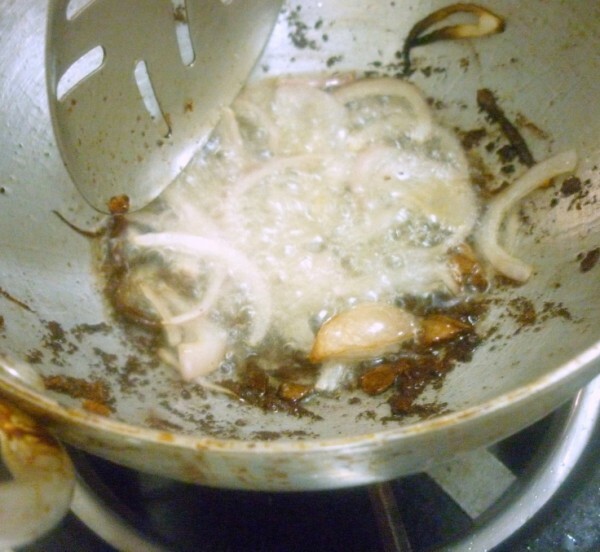 Heat a non stick pan with little oil, fry the paneer cubes, remove and fry the onions till golden brown. Keep it aside. 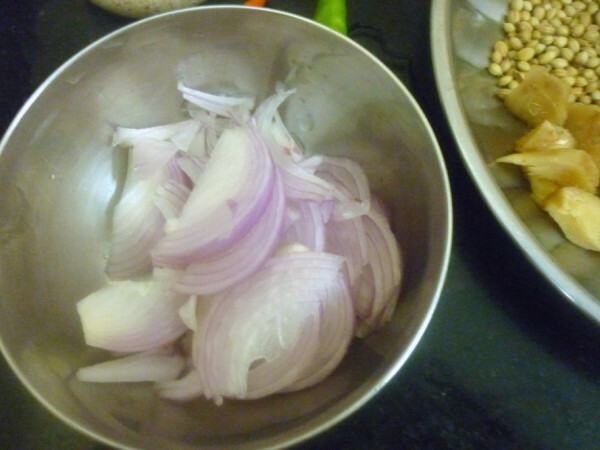 Heat another non stick pan with butter, add bay leaf, then add onion julienne, saute well. 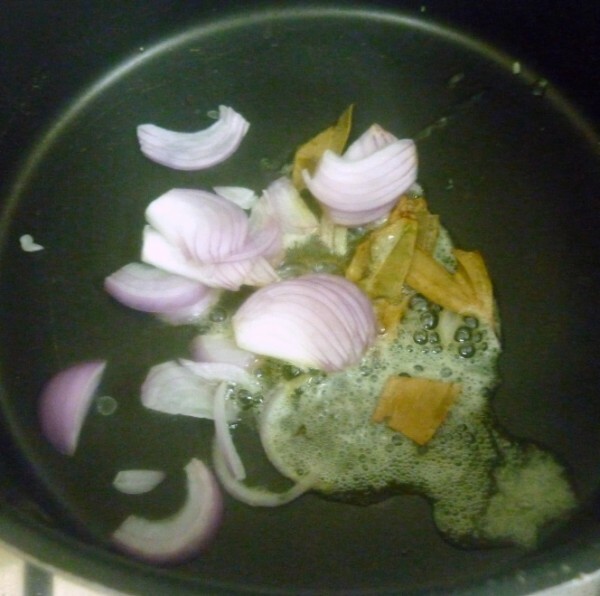 When the onions turn colour, add the paste and fry till raw smell goes. Takes about 5 – 7 mins on high flame. Save some fried paneer, add the rest to the pan. 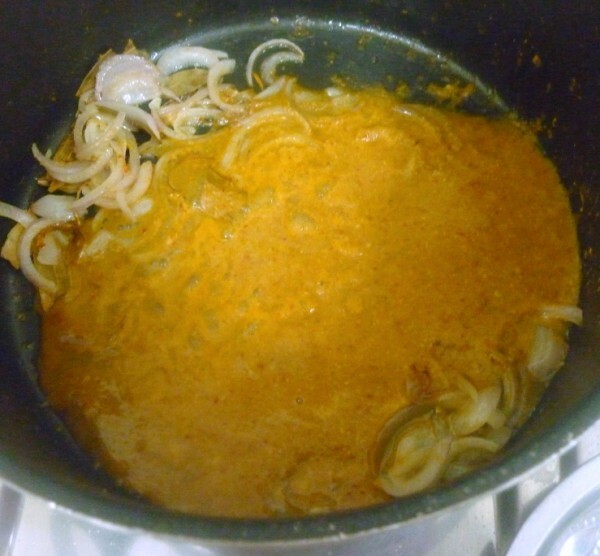 Drain the rice and add to the pan along with salt. 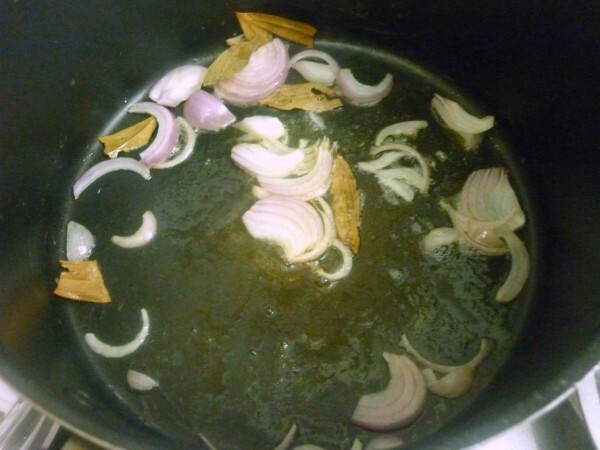 Saute for couple of minuts. 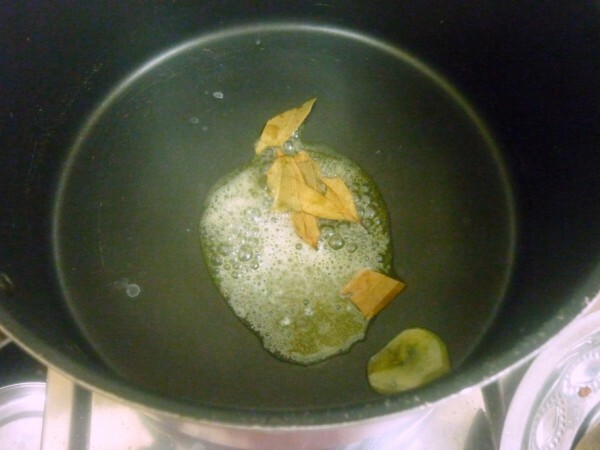 then add water. Bring to boil. 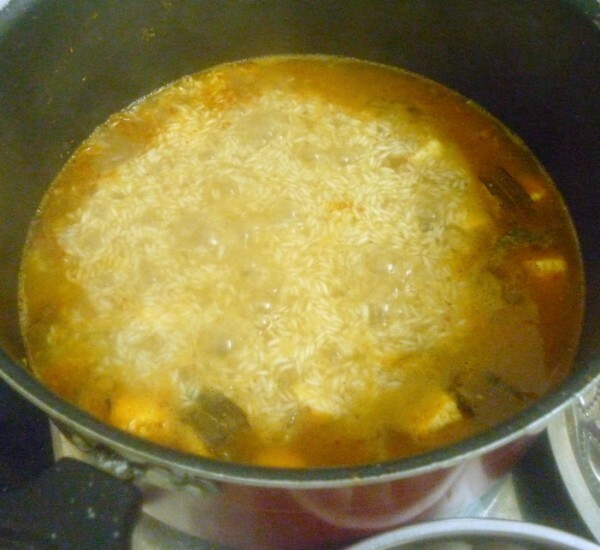 Cover with lid and cook on high. When the water starts rolling, simmer and continue cooking for 10 mins. When the rice is cooked, place a tawa on the flame, sim and place this pan over it. Let it dum for 10 mins. 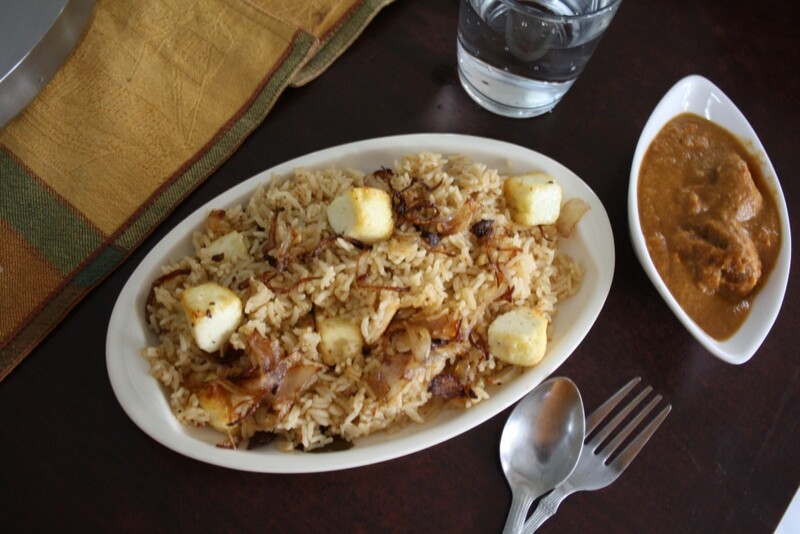 When the rice is done, garnish with browned onions, remaining paneer and serve. This is more like a pulao, which according to my own context is something that’s cooked along with the masala. However this rice turned out to be quite spicy and the masalas were distinct. OMG.. Not finding the blog sure would have been a nightmare. Thank god, you got it all under control Valli. 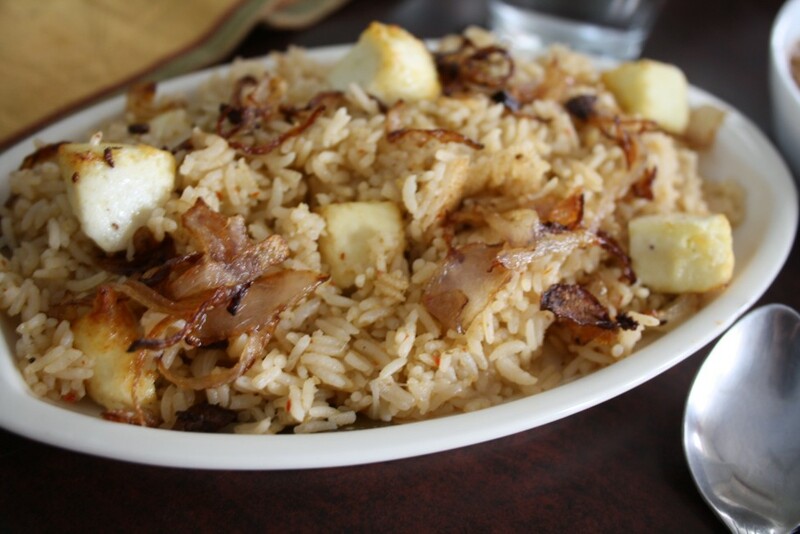 Paneer Biryani looks delicious. Bookmarked!! I am sure these must have tasted delicious..the flavors are quite interesting. Valli…i wonder how you restored your blog…do u have a backup? I donno what will happen to me if it ever happens (hope not)…. Just went through mail,its really scaring Valli,thank god this blog is back. 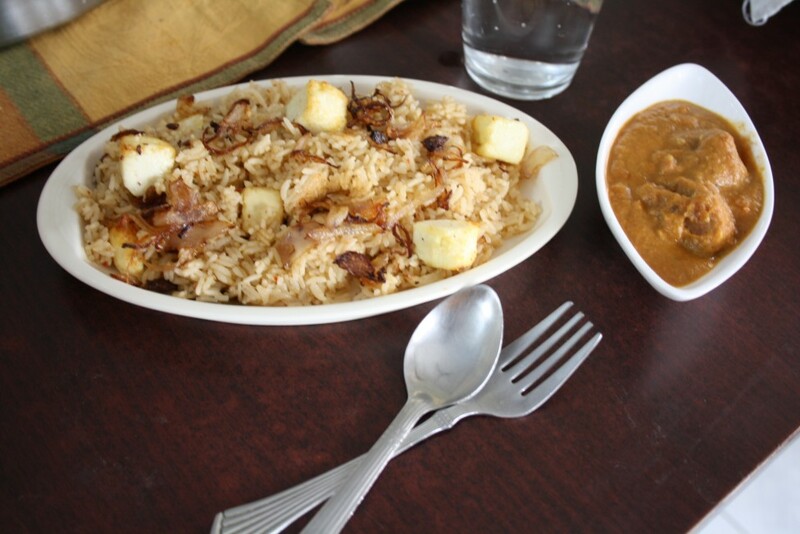 Briyani looks irresistible and full of flavours. The blog disappearance is really scary. It happened to my email account a few weeks back and I also had to reconfirm and gave me some nervous moments. The biryani is certainly flavorful! Anything with Paneer totally rocks! Great fulfilling dish for sure.